What's it about? 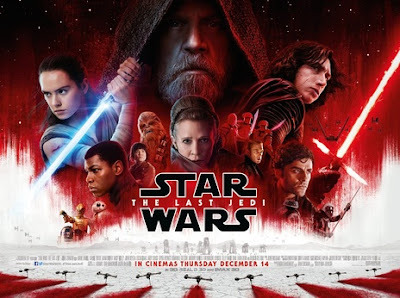 After the events of The Force Awakens, Rey is hoping to be TRAINED in the ways of the Force by Luke Skywalker, the First Order is chasing the Rebellion ACROSS the galaxy and EVERYONE is hoping this will TURN out to be as good as The Empire Strikes Back. At the risk of being hunted down across the galaxy by alien bounty hunters, I wasn't too enthused about The Last Jedi. In fact, the more I think about it the more disappointed I am. I've decided the main problem is bad storytelling. The basic ingredients are there for a better story but, like Yoda's speech patterns, they're put together awkwardly, resulting in a film that's less than a sum of its parts and actually a bit dull at times. That's despite the fact that lots of things do happen, but few of them stir the emotions sufficiently to get that excited about it. It's unfortunate for the cast, who did such good work to inject freshness into the franchise last time round. For example, the charismatic John Boyega is underused here and poorly served by his allocation to the weakest piece of the film - a superfluous subplot about finding a code-breaker in an intergalactic casino. Likewise Oscar Isaac gets little chance to develop Poe Dameron into a worthy cocksure successor to Han Solo. Conversely, Princess Leia gets far too much screen-time in this part of the story, which one can only assume is as extended tribute to Carrie Fisher who died shortly after filming. Unfortunately, what might have been a fitting send-off is ruined in one of the silliest moments of the film. Elsewhere, the master-student relationship between Rey (Daisy Ridley) and Luke (Mark Hamill) is all a bit ho-hum and the potential of the conflicted Kylo Ren storyline is not satisfyingly delivered upon, despite good work by Adam Driver. The common denominator in the underwhelming nature of these elements is the clumsiness of writing, which delivers unmemorable dialogue, unconvincing plot and little character development. It's a pity, because there's still plenty of spectacle, particularly in the visually impressive climactic battle and in the splendid Irish scenery which will have the Irish Tourist Board wetting themselves with excitement. But's it a hollow spectacle when you don't really care what happens. 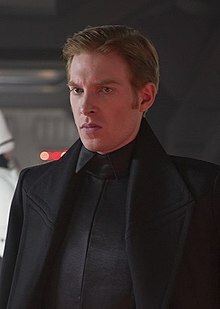 All that said, my Jedi-like senses were alerted by General Hux (Domhnall Gleeson) - I'll be keeping my eye on him in Episode IX for a Big Twist. You heard it here first. While The Force Awakens was basically a retread of the original Star Wars, it is clear The Last Jedi wanted to cleverly subvert the events of The Empire Strikes Back. Laudable ambitions, but if you're going to play around with the best film in the whole saga you had better make sure to deliver something clever and subversive enough. There are just too many misjudged moments in a tonally confused film to meet those ambitions. As Yoda might conclude 'The Empire Strikes Back this film is not'. I don't trust you, you Rebel scum. What do others think? There's nowt as strange as Star Wars fans. While critics have mainly praised the film (>90% on Rotten Tomatoes), audiences have been much more divided (around 56% on the same site). Many have the same reservations I have shared above, although my brain hasn't exploded with the sheer unfairness of it all. For a film so concerned with Light and Dark, there's a helluva lot of grey area up for discussion. 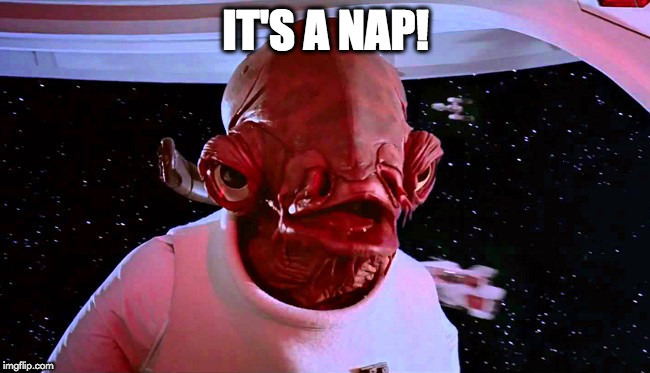 What does Admiral Ackbar think?